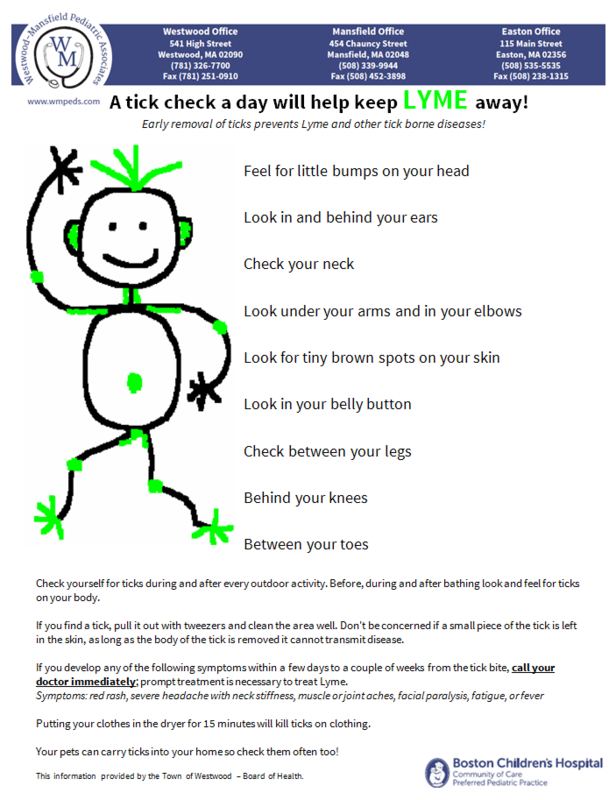 A tick check a day will help keep LYME away! For more information, please see Dr. Hartman’s video on Ticks and Lyme Disease. This video is very helpful to understanding Lyme Disease. URI’s TickEncounter is a helpful resource in identifying a tick and removing it. It is not uncommon for the head to remain in the skin. Once the abdomen has been removed there is no more risk of a Lyme infection. Always feel free to give us a call!